I absolutely HATE to let this set go, but i have to start thinning out my Lego collection. Hopefully there's a Space fan here who will appreciate it as much as i have. This set is much rarer than i thought, and according to Bricklink it's the only one for sale in North America. The parts and figs are in excellent condition with no yellowing whatsoever. The box is a bit roughed up, but it includes the blue inner cardboard trays and the plastic insert. The instructions are a bit wrinkled but otherwise great. As a bonus i'll toss in 6879 Blizzard Baron. I'm on the SSL and i have 257/100% eBay feedback. I'm located in Canada but i'll gladly ship anywhere. Buyer pays actual shipping cost only. Payment can be made by postal Money Order, PayPal, or personal cheque. I also have a bunch more loose classic Lego sets which i'll be sellling including Castle, Town, Ninja, Wild West, & Model Team. I soooo wish I had money to spare right now -- that's arguably my favorite Space set ever. 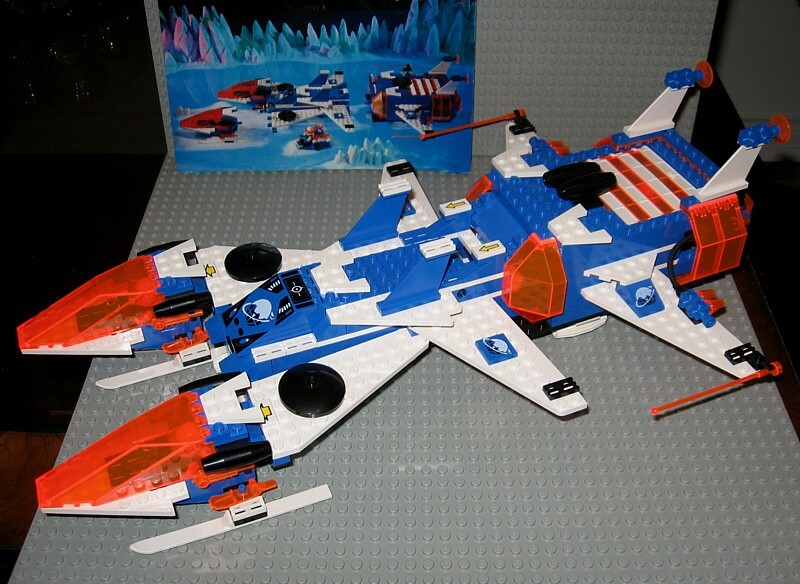 I owned it as a kid, and it stayed together(ish) for a good couple years. I can't count how many of the garage door pieces ended up snapped in two, and the two orange windscreens were eventually so scratched they were opaque (hint: even if it is from Ice Planet, it should not burrow through sand). I'd absolutely love to have another one in such good condition. Whoever buys this from ya will certainly not be disappointed. Nice! Wrong era for me though, Mines with green windows and stuff. Too bad I lost almost all of that other than few peices.